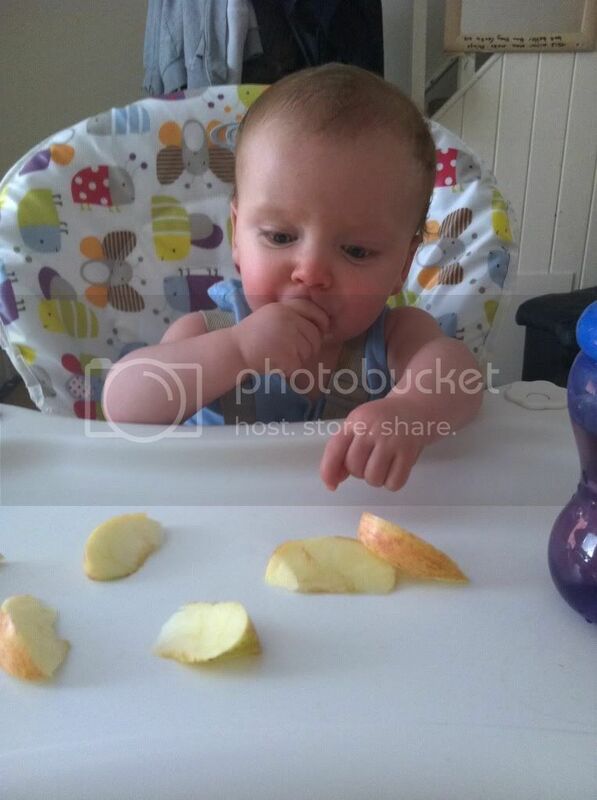 Today's finger food was apple! As soon as I set the chunks on the highchair tray he went straight for them. Initially, he couldn't really get a grip as they were a bit slippery but he worked it out. I let him sit for about an hour sucking on them. He did more sucking than munching as they were harder than the foods he's used to and I think he found it a bit strange that they didn't melt in his mouth like his usual finger foods. 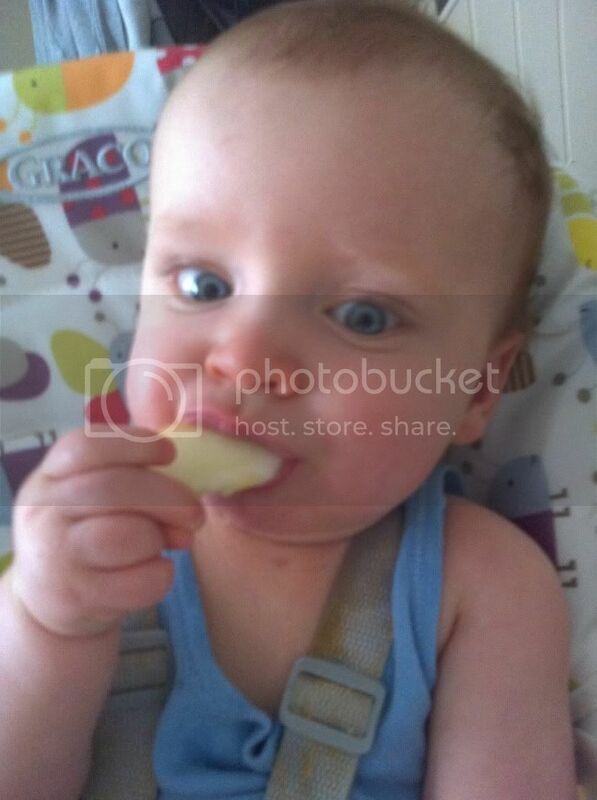 Apple was a definite favourite as I think he really liked the juiciness. It's definitely something that I will give him again. I did ask, "is that apple nice?" which was met with the biggest smile ever! 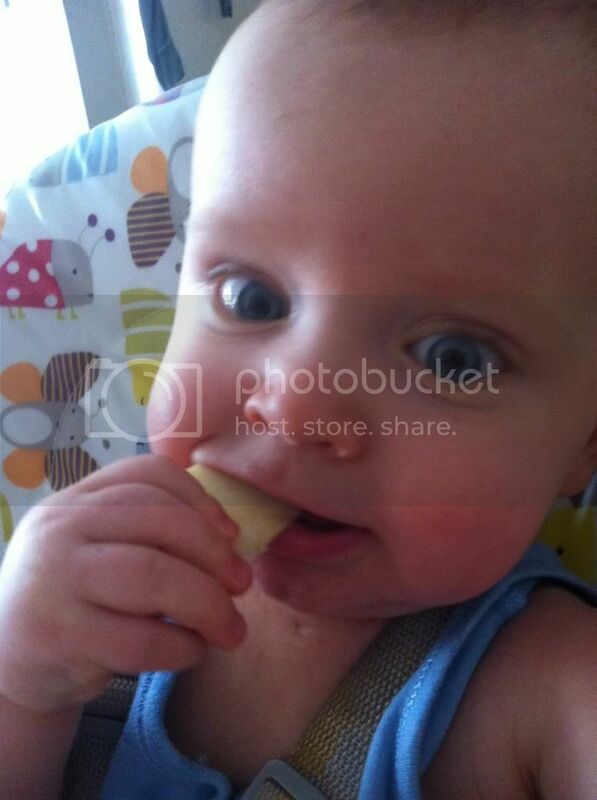 1 comment on "Finger Food Friday - 07/06/2013"